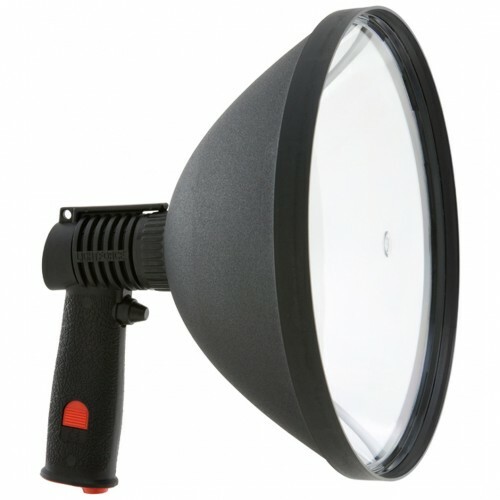 The new and improved 140mm LED Enforcer® by Lightforce® now with superior light output is the most versatile handheld yet. 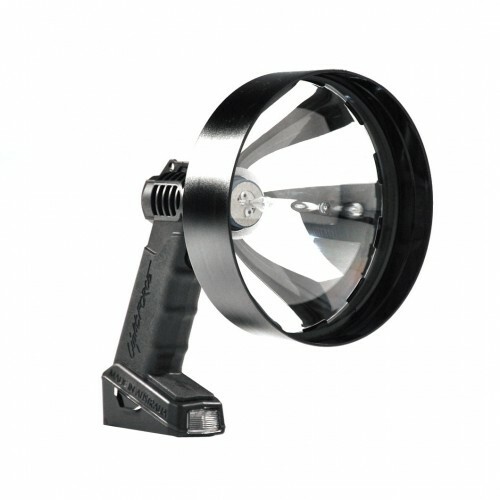 The Lightforce® Enforcer® LED is the perfect light for the outdoor, sporting, hunting, fishing and shooting enthusiast. 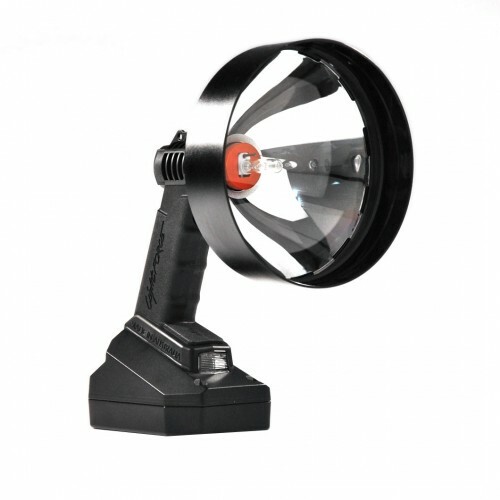 The Lightforce® EF140LED4C is the perfect light for the outdoors, sporting, hunting, fishing and shooting enthusiast. With an IP65 rating and Gore® protective vent for protection from rain and dust, along with its lightweight polycarbornate build, the Enforcer® 140 also suits the marine environment. 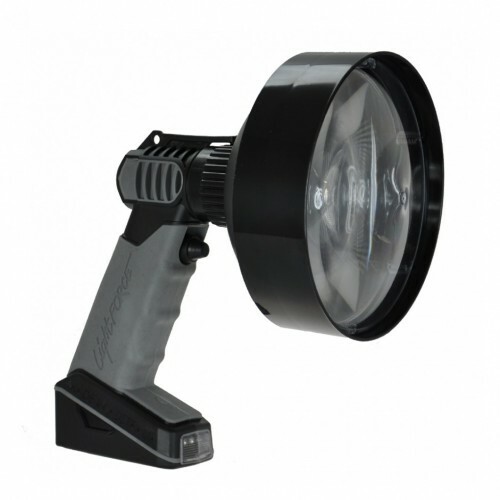 The Enforcer® LED 140 has been created to provide users with a completely flexible cordless lighting option. 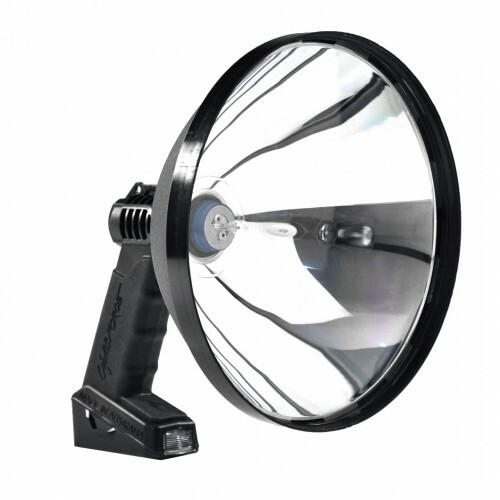 The Lightforce EF140LED series does not compromise on performance, producing a beam that is set to impress. 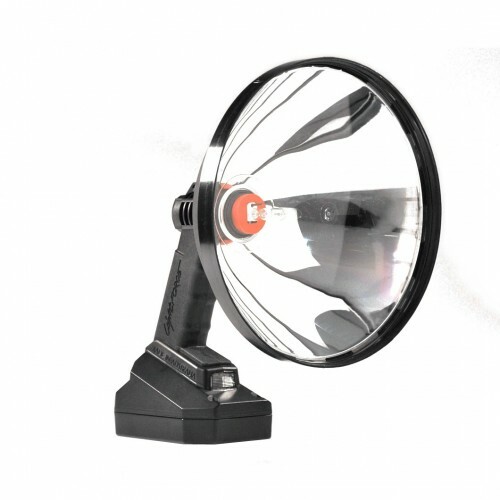 The light beam can be focused from a ‘wide’ pattern to a ‘spot’ pattern simply be rotating the reflector housing, something that has been available across the entire range of Lightforce® spotlights. On the four colour range, switching between colours can be achieved using a button on the back of the neck only while in colour mode. The white light can be accessed at any time using the dimmer switch. 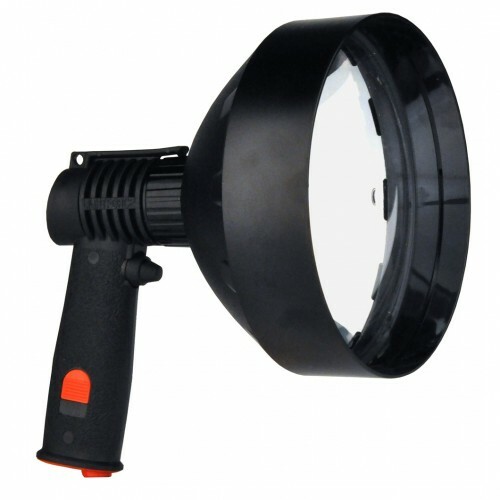 The internal battery is located in the light’s handle and is a sealed unit, thus not exposed to dust and water. 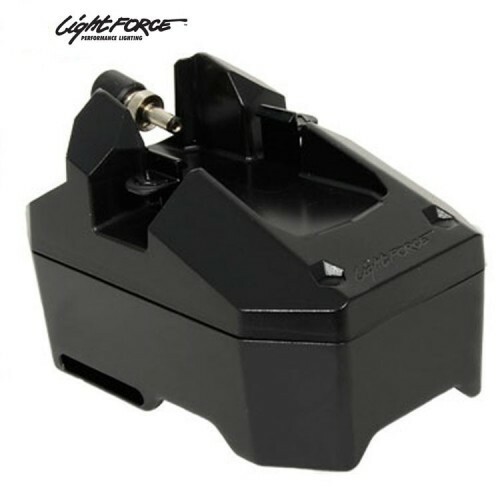 The battery is a lithium ion type 7.4V, 2Ah, 14.8Wh and when fully charged can provide either 2 or 4 hours at full intensity white, depending on whether the model is a 6W or 3W respectively. After this time, the light will enter a ‘reserve’ mode, which allows a further hour of use at a reduced light output. 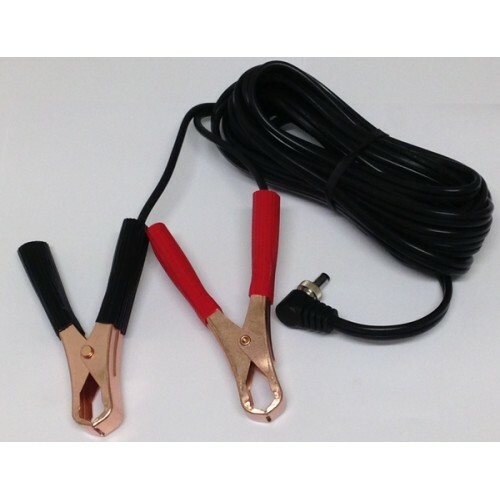 The internal battery can be charged using the supplied 100-240V universal AC to 12V DC charger. This is attached to a female port in the rear section of the base. A rubber cap protects this connection. To fully charge the internal battery from flat, approx. 2.5 hours is required. The battery will charge when connected to 12V DC power. 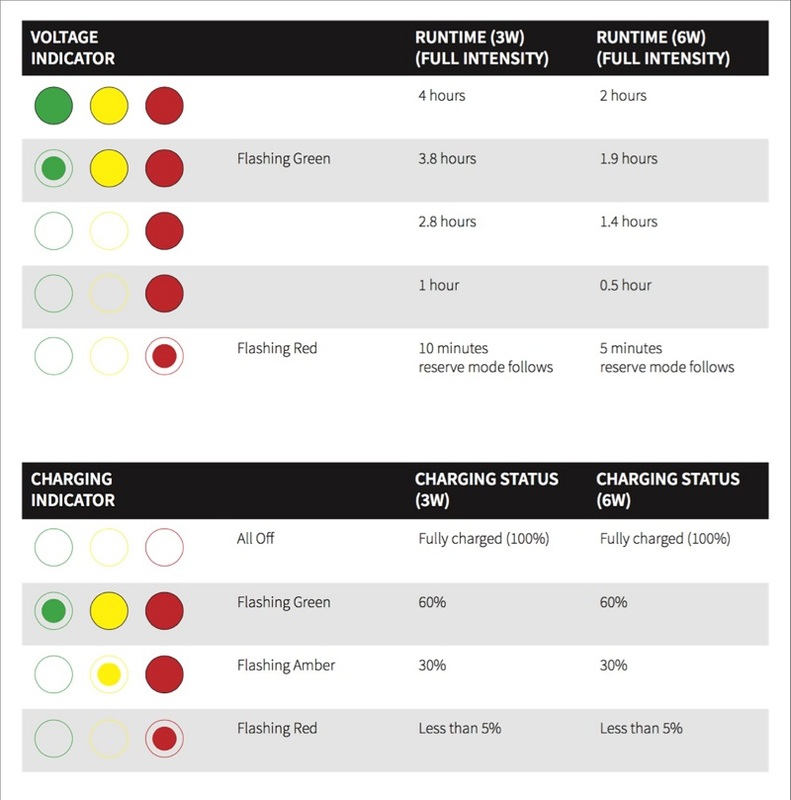 When charging the internal battery the built-in LED voltage and charging indicators are shown by the three colour LEDs in the front of the battery housing. These LEDs can give an instant assessment of the lithium ion batteries charge simply by pressing the rubber pad located at the top of the panel.